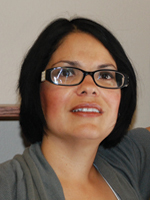 Dr. Ivannia Soto is Professor of Education at Whittier College, where she specializes in second language acquisition, systemic reform for English language learners (ELLs), and urban education. She began her career in the Los Angeles Unified School District (LAUSD), where she taught English and English Language Development to a population made of up 99.9% Latinos, who either were or had been ELLs. Before becoming a professor, Dr. Soto also served LAUSD as a literacy coach and district office administrator. She has presented on literacy and language topics at various conferences, including the National Association for Bilingual Education (NABE), the California Association for Bilingual Association (CABE), the American Educational Research Association (AERA), and the National Urban Education Conference. As a consultant, Soto has worked with Stanford University’s School Redesign Network (SRN), WestEd, and CABE, as well as a variety of districts and county offices in California, providing technical assistance for systemic reform for ELLs and Title III. Soto has authored and co-authored seven books, including The Literacy Gaps: Building Bridges for ELLs and SELs; ELL Shadowing as a Catalyst for Change, which was recognized by Education Trust-West as a promising practice for ELLs in 2018; From Spoken to Written Language with ELLs; and the Academic English Mastery four-book series. Together, the books tell a story of how to systemically close achievement gaps with ELLs by increasing their academic language production across content areas. Soto is Executive Director of the Institute for Culturally and Linguistically Responsive Teaching (ICLRT) at Whittier College, whose mission it is to promote relevant research and develop academic resources for ELLs and Standard English Learners (SELs) via linguistically and culturally responsive teaching practices.